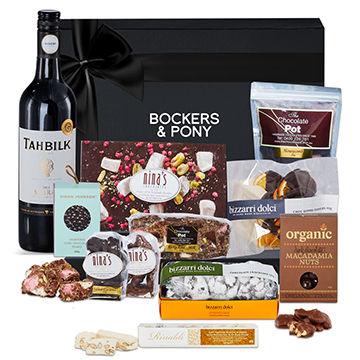 As Australia's leading designer and maker of luxurious Brisbane gift hampers, Bockers & Pony knows how to delight sender and receiver alike. We combine stunning packaging, products and service to bring you a breadth of gift experiences for all events, occasions and celebrations. So, relax and enjoy this beautiful shopping experience as you browse our latest collection of unique gift ideas. 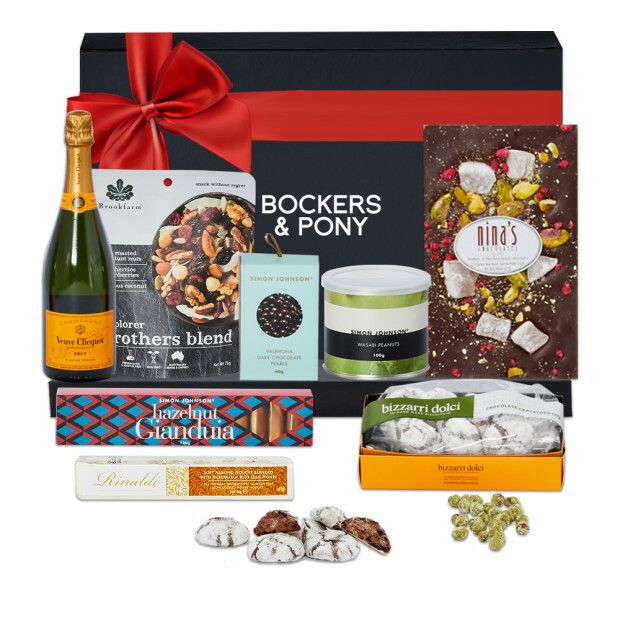 Then, sit back as our amazing Brisbane hamper delivery team carries your thoughtfulness to the doorsteps of deserving friends, family, clients and colleagues. 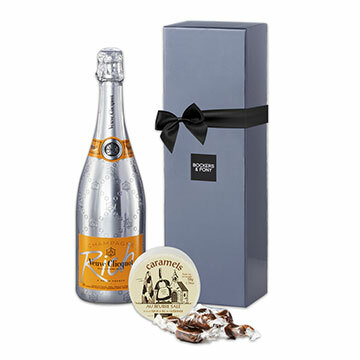 Our exclusive collection of Brisbane gift hampers covers every milestone event and important occasion. From birthdays and babies to housewarming and sympathy kindness, we design every meaningful hamper to deliver wishes Brisbane wide. 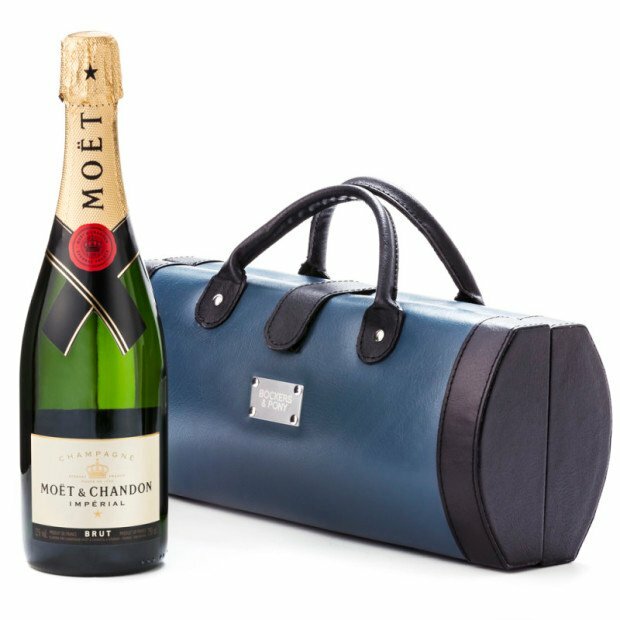 Browse our online shop, and you'll also discover a wealth of unique gift ideas to mark a personal occasion with champagne and wine, gourmet hampers, chocolate gifts and more on hand to help you congratulate, thank and celebrate in style. 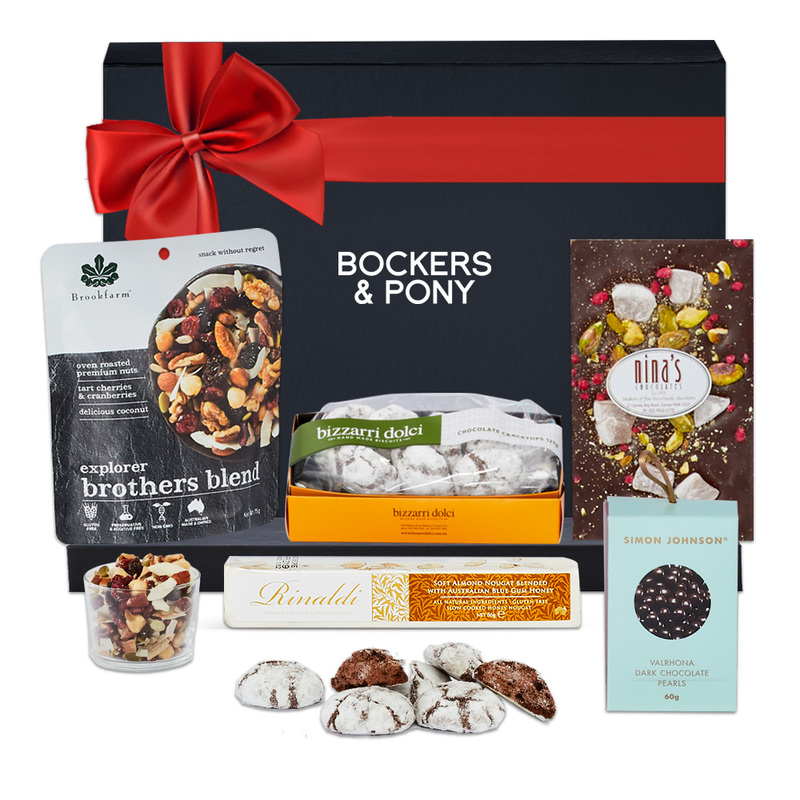 Bockers & Pony brings back the joy of gift giving by helping you to connect with the important people in your life through one-of-a-kind gifts that make them feel cherished. As the leading provider of Brisbane gift hampers, we're extremely proud of our Trustpilot TrustScore, achieving 9 out of 10 with over 800 reviews. 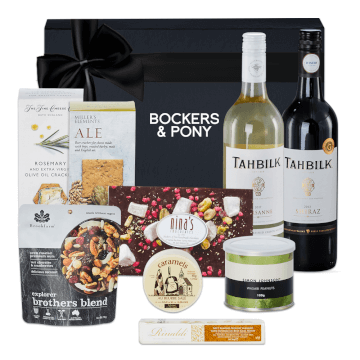 No matter which gift you choose, we guarantee it will be hand packed, exquisitely presented and carried by our Brisbane hamper delivery experts who love to see the joy they bring! 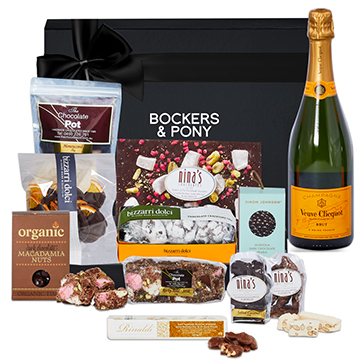 So much more than a hamper, every Bockers and Pony gift is an experience, designed to delight. We travel widely to discover hard-to-find products that reflect the occasion and your thoughtfulness and then pack them in our iconic silver boxes, reusable suitcases and luxurious traveller capsules. 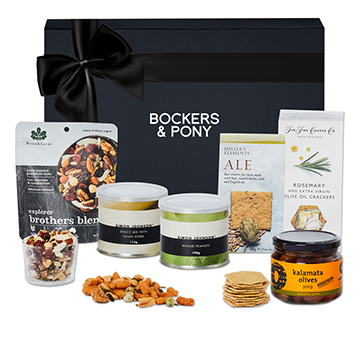 From champagne bath times and breakfasting in bed to cocktail evenings and whisky tasting — your recipient will enjoy creating their own wonderful experience with your magnificent Brisbane hamper gift. 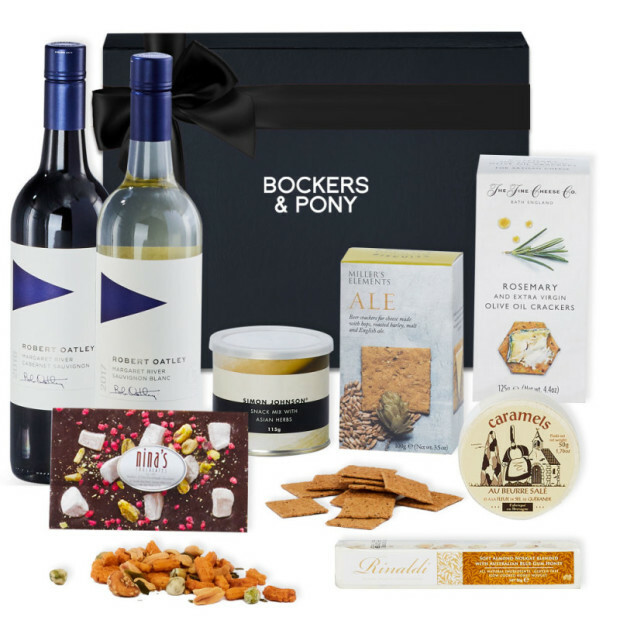 Bockers & Pony baby hampers are the go-to presents for Brisbanites seeking unique ideas for Baby Boy Gifts, Baby Girl Gifts as well as Maternity Baby Gifts and Mother & Baby Hampers. From cuddly to luxurious, our gorgeous hamper collection covers a range of budgets, available for delivery Brisbane wide. If your Brisbane baby hamper delivery is going to a maternity ward, we recommend you provide us with the new mum's maiden name as we find maternity ward staff can check them in under this name! 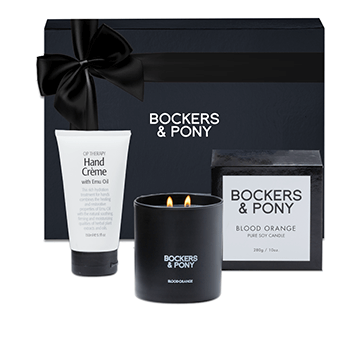 Christmas just isn't Christmas without an iconic Bockers & Pony hamper! Our new collection of unique Christmas gift ideas exudes luxury and the spirit of Christmas. With more than a decade of experience in curating festive gifts, we make it easy for you to find a meaningful and elegant present without leaving the comfort of your home or office. 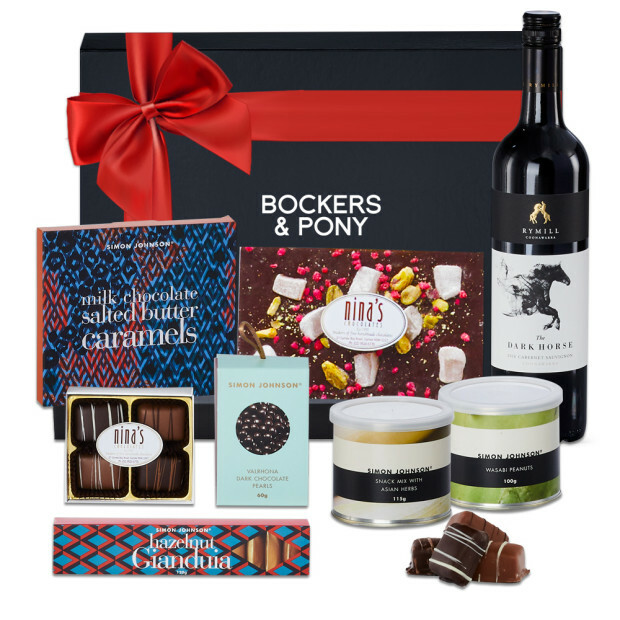 What's more, we exquisitely 'wrap' your gift to reflect your generosity and place it in the hands of our Brisbane hamper delivery experts for safe carriage. As you can imagine, things get festively busy during the last two weeks of December. 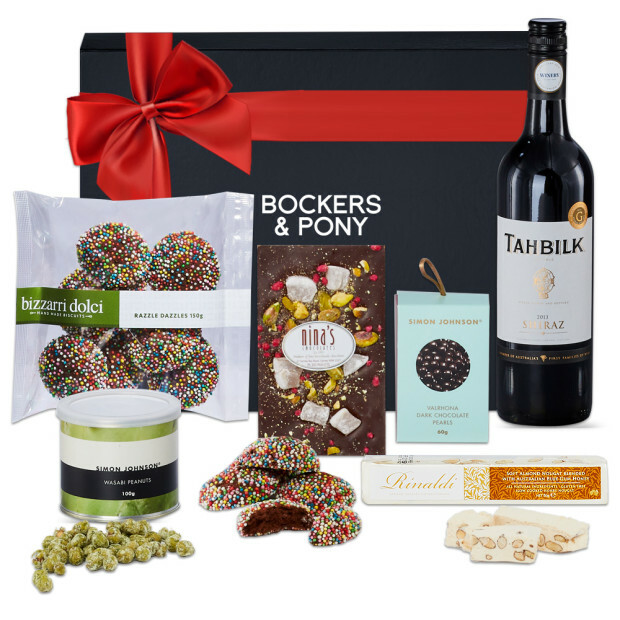 So, make sure you allow an extra day for delivery for all your Brisbane Christmas gift hamper orders. 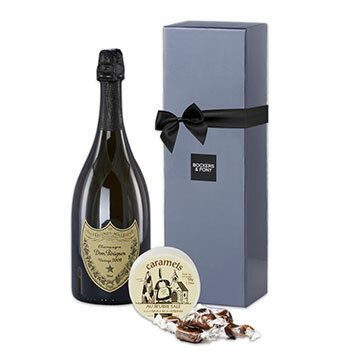 Our mission is to deliver your gift hampers to Brisbane addresses as close to your preferred delivery date as possible. Need to check the status of your order during the festive season? Simply email our team or call us on 1300 132 663. 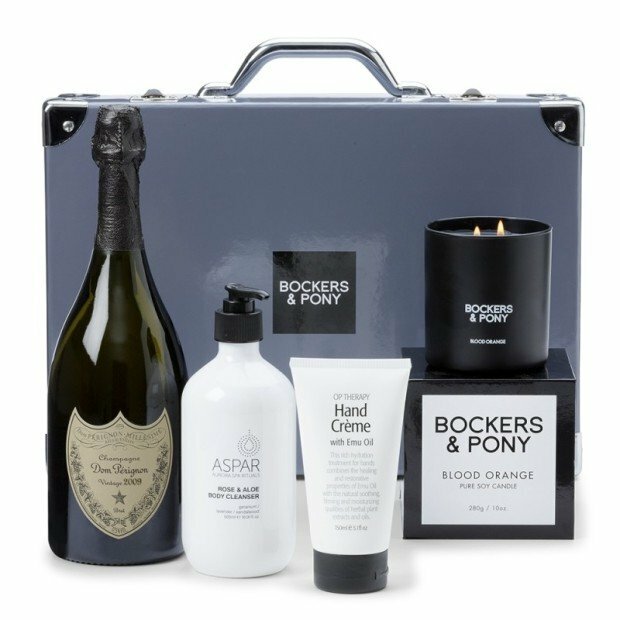 Bockers & Pony is the trusted partner of Brisbane businesses and brands seeking high-end gifts for clients and staff alike. We're famous for the immaculate presentation of our luxurious range. And whether they arrive in a suitcase, gift box or wine box, there's ample space to brand your corporate gifts with your company logo or message. Our customer service team members are logistics experts too, so if you need Brisbane hamper deliveries to multiple addresses, email us or give us a call on 1300 132 663 to chat about your requirements. We guarantee your business will stand out! 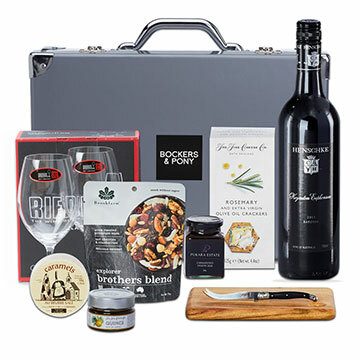 We deliver our stunning hampers to all Brisbane Metropolitan areas and regions from Monday to Friday. Unfortunately, we're unable to deliver on Saturdays, Sundays or public holidays. We make all deliveries through our trusty Brisbane gift hamper courier with state-of-the-art track and trace capabilities. 1. Our courier will leave your gift hamper if the recipient is not at home and it's deemed safe to do so. 2. For unsuccessful deliveries or deliveries to a PO Box, our courier leaves a calling card for the recipient to collect the hamper from their local post office. 3. 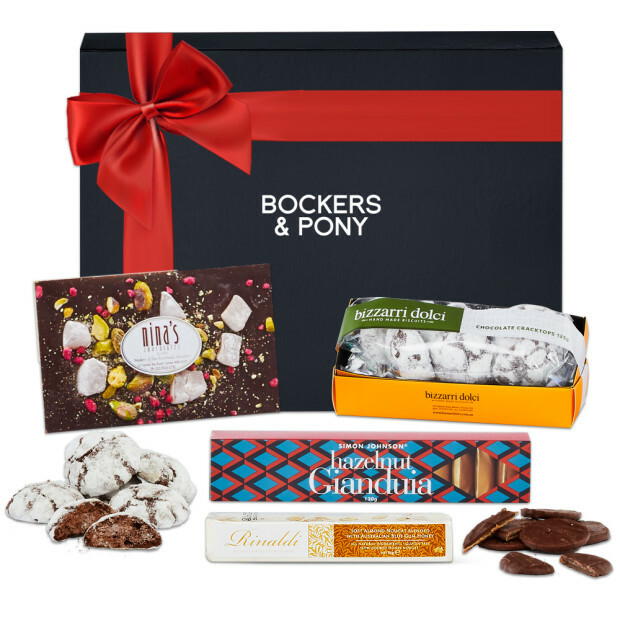 Brisbane metro and regional hamper delivery prices start from $16.95, including GST. Deliveries to PO Box addresses, parcel lockers and RMBs (registered mail bags) are $25.95, including GST. 4. 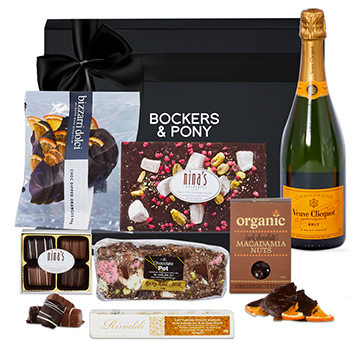 If you place your Brisbane gift hamper order before 3.00pm, we'll deliver it to a Brisbane city address the next day. 5. If your gift is travelling to a Brisbane regional address or a remote or rural location, it will take two days. Deliveries to a PO Box address may be longer than stated above. 6. 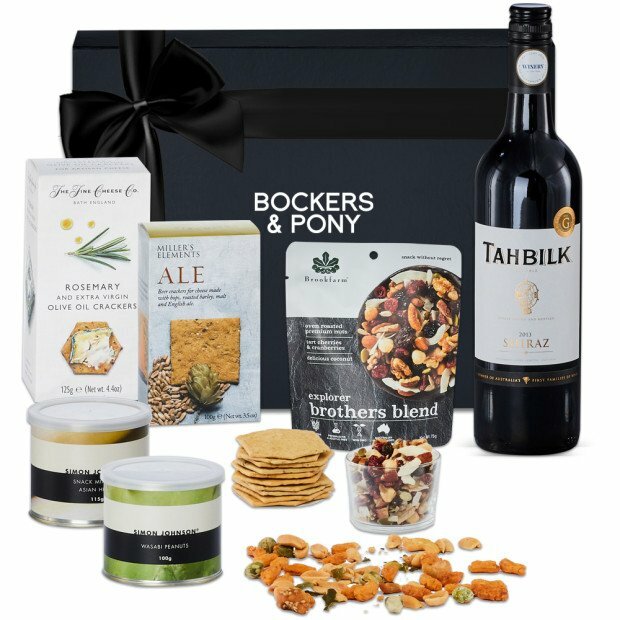 Don't forget — you can choose your preferred Brisbane gift hamper delivery date in advance at the time of ordering! 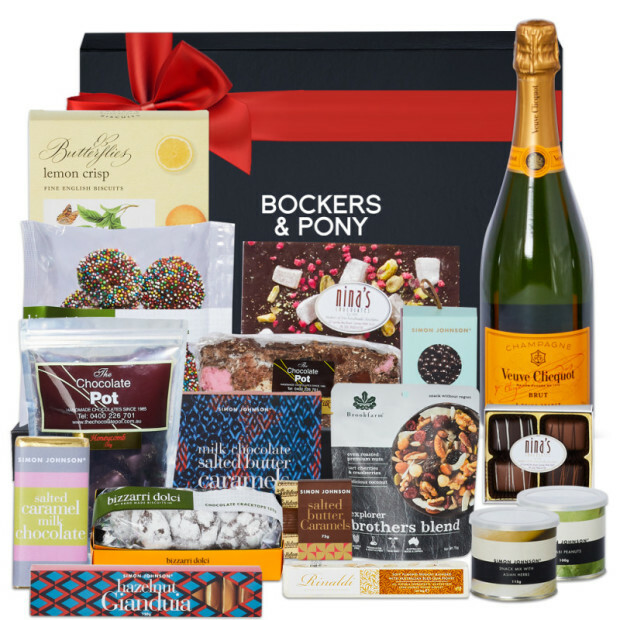 We look forward to assisting you with beautiful hamper gifts for all your family, friends, clients and colleagues in and around Brisbane — and Australia wide!